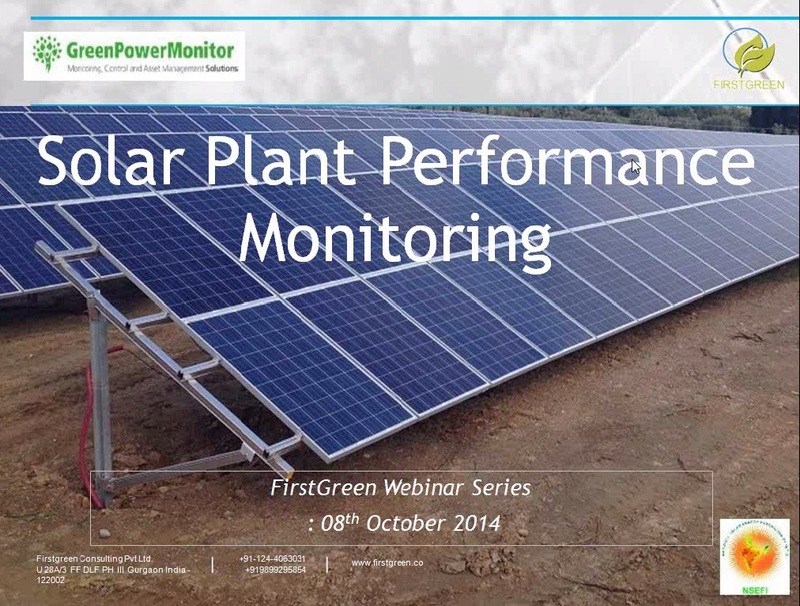 [ezcol_2third] Gurgaon 08-10-2014: First Green Consulting and GreenPowerMonitor jointly conducted a Webinar on Solar Plant Performance Monitoring. For First Green Consulting, Solar is our passion and nothing makes it more rewarding than an overwhelming response to our webinars or to our any training program .There was gathering of 23 participants which included people from various walks of Solar field. There were CEOs, Directors, Managers, Engineers, Professors and Students who registered with us. Dr. Sanjay Vashishtha took the charge and explained the necessity of the solar PV plant monitoring and the three basic approaches namely reactive, preventive and condition base. Along with this, he also explained the basis structure of the solar PV plant and the core basics of solar PV design. After then, Mr. Albert has enlightened the global best practices of solar PV plant monitoring system. he has explained the data acquisition system along with the mobile interactive software and tools which are very useful for the solar monitoring. This session included lots of interaction of the participants. After the session, there was a questions answer session, in which participants have cleared many questions and cleared their doubts.